Disclaimer: This is a sponsored post for SheSpeaks/Pampers. OK, I’ll admit that I love getting freebies. I love it when I come back from the mailbox with free samples of coffee, detergent, razors, etc. It just makes me feel like I’m beating the system somehow. If you love getting things for free, and also have a diaper-wearing child at home (or know one), then you’ll want to check out this month’s Pampers Bundle of Joy promotion. 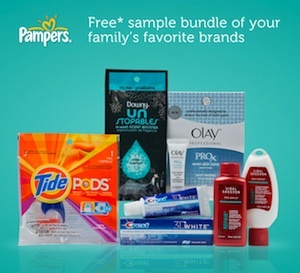 For the month of June, when you buy Pampers diapers from Walmart.com, you’ll receive a bonus P&G sample bundle which includes free samples of some of your favorite P&G products. This special $10 value sample bundle includes trial or travel-sized samples of Tide Pods, Downy Unstoppable Fresh, Vidal Sassoon Shampoo, Crest 3D White Vivid Fluoride Toothpaste, and Olay Pro-X Tone spot-fading treatment. In addition, Walmart.com is currently running a free shipping offer, where orders of $45 or more of Home Free items will ship free. If you, or someone you know, is in need of diapers, now’s a great time to take advantage of this free sample bundle offer and free shipping offer. The free sample bundle is only available while supplies last. What a great offer! I love free shipping and I love Walmart too. But honestly, if I can avoid a trip and purchase online, I will! Thanks for the lead! Currently waiting for mine to arrive. It really seemed like a great deal, but the shipping without any other items was pretty high (I’m spoiled by so many places offering free shipping). this is a super idea for my daughter, who recently found out she’s pregnant….they can start to stock up now and get some freebies, too. 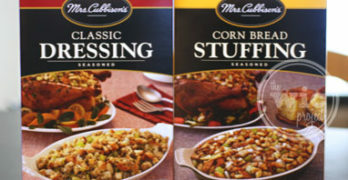 I love free shipping and Walmart! I will pass this on to my Son and Daughter in law. Oooh! I do love free things. My step-daughter just had a baby and so needs stocks of pampers – I am forwarding this to her so she can get a gift for herself at the same time! What a great program! My step-daughter buys a LOT of pampers, so I will tell her to get on board!